The Protectimus Slim mini token is easy to configure, convenient, and reliable. The programmable token Protectimus Slim mini doesn't connect to the internet or to a GSM network, eliminating the possibility of a one-time password being intercepted when delivered in an SMS, or being read by malware on a smartphone. With this OTP token, unlike standard hardware tokens, only you will know your secret key, thanks to the setup over NFC. The Protectimus Slim mini was developed as a hardware alternative for the Google Authenticator and other OATH-compliant software tokens. It's suitable for authentication systems that support TOTP tokens: Google, Facebook, VKontakte, Dropbox, GitHub, Kickstarter, Microsoft, TeamViewer, etc. If you're not sure whether a token is right for you, just ask us! The Protectimus Slim mini TOTP token can be programmed over NFC an unlimited number of times. 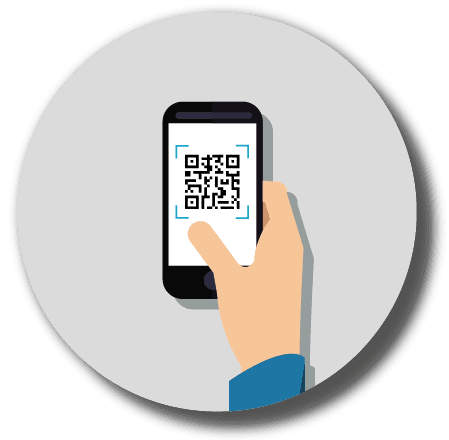 This is convenient for businesses, as it allows the same token to be reassigned multiple times for use with different services, unlike non-programmable OTP tokens. It's convenient for clients, too, since the secret key can be changed if necessary. Protectimus Slim mini programmable hardware tokens are a more reliable alternative to applications for generating one-time passwords (Google Authenticator, FreeOTP, Duo Mobile, Authy, etc.) and SMS authentication. The OTP token's self-sufficiency provides comprehensive protection against the interception of one-time passwords and against their theft from a user's device that has become infected by malware. 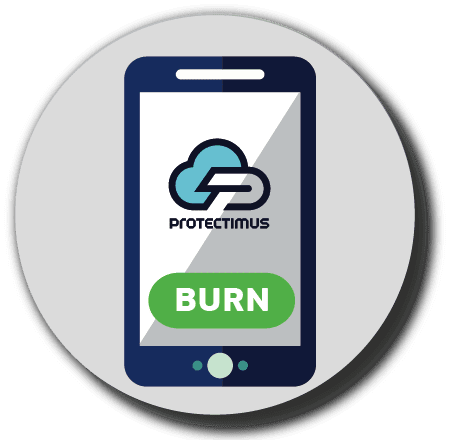 The OTP tokens can be reprogrammed using the Protectimus TOTP Burner application for Android phones with NFC support. The user can assign a new seed (secret key) an unlimited number of times and can select the desired lifetime for generated OTPs: 30 or 60 seconds. The programmable Protectimus Slim mini token is the most reliable, practical, and convenient solution for two-factor authentication. The OTP token's IP68 protection rating guarantees that it is completely dust- and water-resistant; and thanks to its small form factor, your security token can always be with you. The Protectimus Slim mini OATH token is completely protected against dust and water getting inside. Its performance will not suffer even if immersed in water to a depth of up to 1 m. Despite this, we recommend handling the 2FA token with care to avoid diminishing its battery life or voiding the warranty. The 2FA token Protectimus Slim mini was developed with a convenient, stylish mini-card form factor and measures 64 mm x 38 mm x 0.9 mm. It fits comfortably in a purse or business card holder. 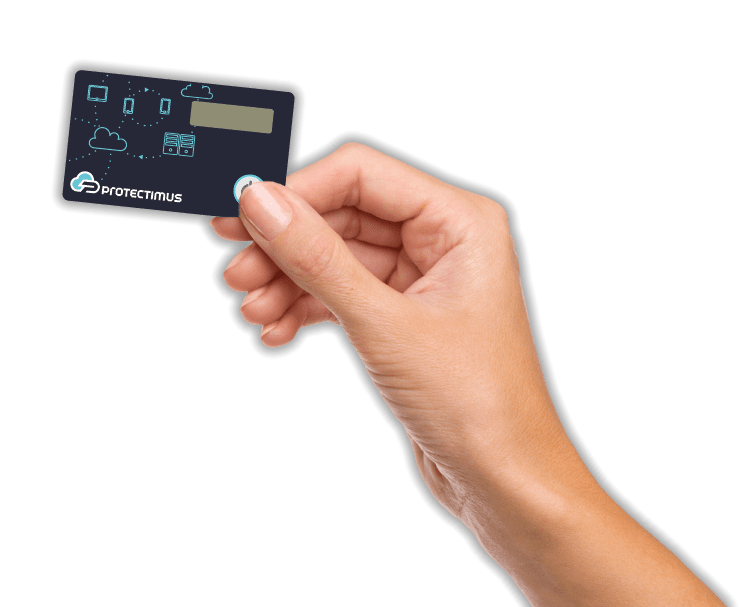 Despite its small size, the Protectimus Slim mini is a full-fledged two-factor authentication token. 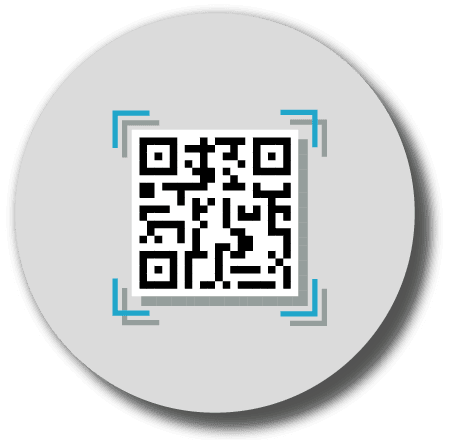 All you need to configure our OTP token is an Android smartphone with NFC support and the Protectimus TOTP Burner application. Thanks to the app's intuitive, user-friendly interface, you can easily and quickly assign a secret key to the OTP token and select the required OTP lifetime (30 or 60 seconds). If your service isn't in the list, don't worry; we may just have not gotten around to adding it. Send us a message and we'll let you know if your system supports the Protectimus Slim mini-token. Number of times you can "burn the seed"
Despite the product's tolerance of a wide range of operating conditions, we don't recommend subjecting it to extreme conditions. This will extend its working life and avoid voiding the manufacturer's warranty. You can configure two-factor authentication for your favorite service in just a few minutes. If you have an NFC-enabled phone running Android OS, just download and run the TOTP Burner app to program your OTP token. Save the secret key in a SAFE place so that you can easily restore the security token. Scan the secret key using the TOTP Burner app, or input it manually. We recommend the automatic method. Activate the OTP token and place it near your phone's NFC antenna. 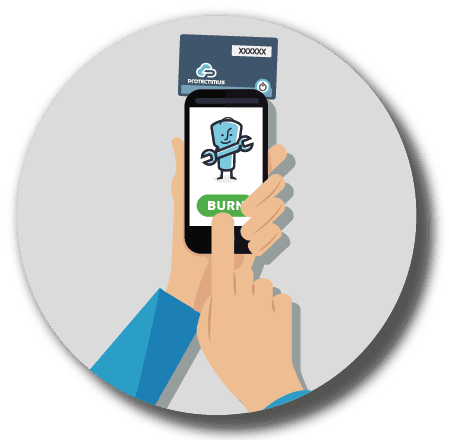 While holding it near the NFC antenna, tap "Burn the seed" and wait for a message confirming that the 2FA token was programmed successfully. Enjoy reliable and convenient protection for your account on any service — make hackers' lives difficult. Want OATH tokens with custom branding? We can make them for you! For orders of up to 1000 tokens, branding is $299. 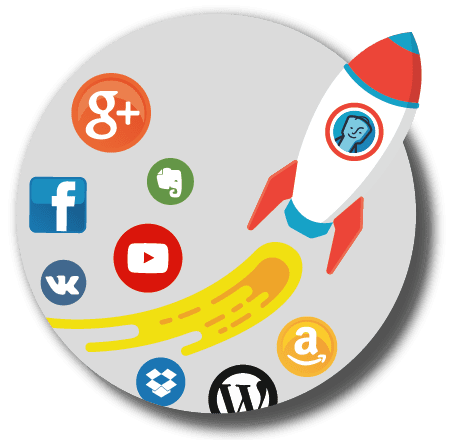 For orders of 1000 tokens or more, branding is free. The token's warranty lasts for 12 months from the moment the device is sent to its recipient. The warranty is valid in the absence of mechanical damage and during normal operation of the device. (from two weeks up) is $10. For orders of 5 or more tokens, shipping is free. Expedited delivery (via DHL) is $99.